Are you taking a vacation and having a hard time choosing which hotel to stay in? Have you considered renting a cabin instead? We bet you’re thinking about it now, but you have questions. We have the answers. Below is a list of 5 reasons to consider cabin rentals for a vacation. Getting a hotel room for the duration of your vacation always seems to be a go-to when planning, but once you get there you sometimes realize how much you actually hate hotels. With an estimated 35% of families taking vacations each year, hotels can be crammed with guests, noisy, and overwhelming. It may not be the relaxing vacation you pictured for your family or friends. Cabin rentals offer peace and quiet where hotels don’t. Hidden away from busy roads and highways, cabins offer a tranquil atmosphere for renters to enjoy. Private cabins ensure a peaceful nights sleep with no disturbances from thin hotel walls and guests walking past your door at all hours of the night. Surrounded by mountains, woods, wildlife, and amazing views are a far better way to spend your vacation than risking a view of a parking lot and noisy neighbors. In addition to having a lot of guests, hotels are typically located in populated areas with little to no room for picturesque surroundings. Renting a cabin leaves you with beautiful surroundings, especially at night. Where populated hotels are in areas filled with lights from buildings and other hotels, cabin rentals offer a beautiful view of the mountains and the chance to truly see the stars and planets in the night sky. Instead of seeking out the perfect picture spot, all you have to do is step out onto your balcony and you have the natural backdrop of the Red River Gorge. Enjoy the breeze and get in touch with nature by bird watching and relaxing in a natural element. Some cabins even have walking or hiking trails right from their backyard for guests to explore and enjoy during their stay. The average hotel room size is about 330 square feet and is becoming smaller every year. Hotels are finding smaller rooms easier to maintain and cheaper to build. With an increase in technology, hotels are getting rid of “redundant” furniture, creating more space to walk around in a smaller room. For an upgrade (and additional costs) guests can stay in suite style, deluxe, or apartment style rooms. Depending on the number of people traveling with you on vacation, hotel rooms can add up quickly. Cabin rentals offer the space and privacy hotels are lacking; with a variety of styles and sizes, it can be cheaper in the long run. Sizes range from 1 bedroom to as large as 8, which can sleep up to 16 people for a reunion or retreat. Cabins give guests the space to roam around and relax where hotel rooms only offer a space to sleep. While common rooms and bars are other options in a hotel, these can get crowded and noisy with other guests looking for some space. Guests can be bombarded with concierge suggestions and wake-up calls when staying at a hotel, but cabin rentals give you the privacy you need without hotel employee annoyances. So, you know there are a variety of cabin sizes, but did you know there are also different types of cabins to choose from as well? 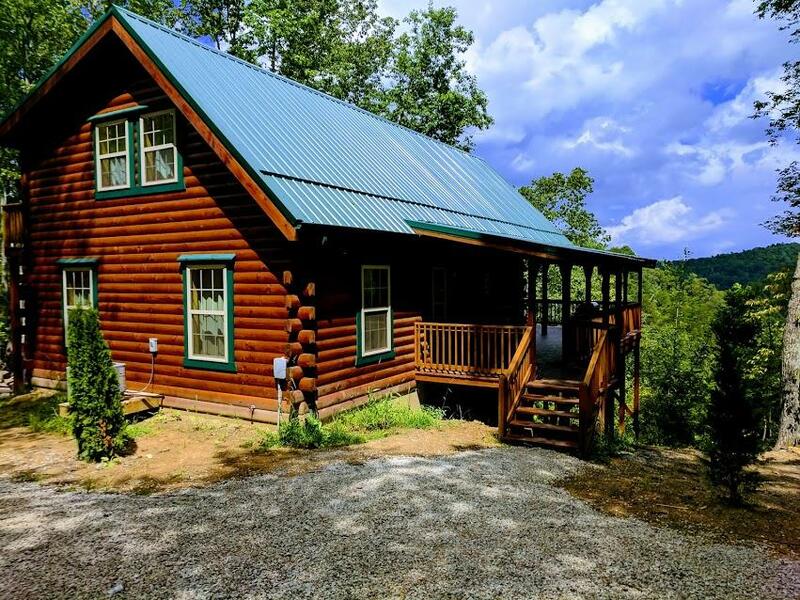 Guests who are looking at cabin rentals may not know the extent of amenities and types to choose from, especially those in the Red River Gorge and Natural Bridge. Cabin rentals range from cabins with outdoor hot tubs, cabins near water, secluded cabins, private pools, cabins for couples, luxury cabins, cabins with internet and so much more. Those with large groups can satisfy everyone – even the pickiest traveler – with the cabin varieties to choose from. This can also lower the cost of your trip by staying in one cabin instead of getting three or four hotel rooms during your stay. Included with cabin rentals are fully equipped kitchens. Although guests are on vacation, the option to make home-cooked food is always nice to have on nights when no one feels like going out. The hardest part about going on vacation is leaving a pet behind. Most hotels are not pet-friendly and rarely have pet hotels nearby. Being able to rent a pet-friendly cabin relieves the stress of finding a pet sitter and paying for your furry friend to stay in a kennel. Pet-friendly cabins offer the chance to bring your pet with you on vacation without the stress of finding a hotel that will accommodate you. Cabins will allow your pet space they need to roam and run around without being confined all day. The Red River Gorge is a great place to hike and get some fresh air with your dog and gives them a great view of the wildlife around them. Your pet will thank you for giving them the chance to spend the vacation with you, and you’ll never want to leave them behind on another vacation. After spending your days’ sightseeing, hiking, climbing, and traveling the last thing you want to do is come back to a busy hotel with mediocre service. Hotel rooms are seen as a place to sleep and eat after a long day while traveling or on vacation. Cabin rentals give you the privacy and relaxation you crave when traveling without the confinements of 4 walls and an attached bathroom. With so many options, varieties, and amenities, choosing a cabin rental sounds overwhelming. However, with some research and comparisons, you’ll see how much happier you’ll be with choosing a cabin rental.